The study unit comprises various areas of law which are of fundamental importance not only in Europe but in a global perspective, with regard to both economic and legal practice. The courses convey sound knowledge of the general framework that characterizes economic activity in the European Union (the Economic and Monetary Union, Banking Law and European Tax Law). Students may also deepen their knowledge of more particular regulations which economic activities in the EU might be subject to (e.g. European Competition Law, Economic and Competition Policy) or that potentially accompany such activities (e.g. Intellectual Property Law). The challenges of economic globalization are taken into account in courses in which the subject matter extends beyond EU borders. In addition, there are numerous case studies offered as part of the study unit which allow students to put their theoretical knowledge into practice. Moreover, students have the opportunity to focus on European Management. Each unit offers a high degree of specialization in quickly expanding professional fields within the European and international law. It is possible for students to obtain up to two specializations in addition to their Master's degree, i.e. to obtain an LL.M. degree in International Dispute Resolution or European Economic Law. A total of at least 45 credit points must be attained during the course of the study program. 15 additional credit points are awarded after the completion and approval of the Master's thesis, making it a total number of 60 credit points that have to be reached for completion of the Master's program. The number of available places is limited. Candidates are selected on the basis of their academic qualifications and suitability. 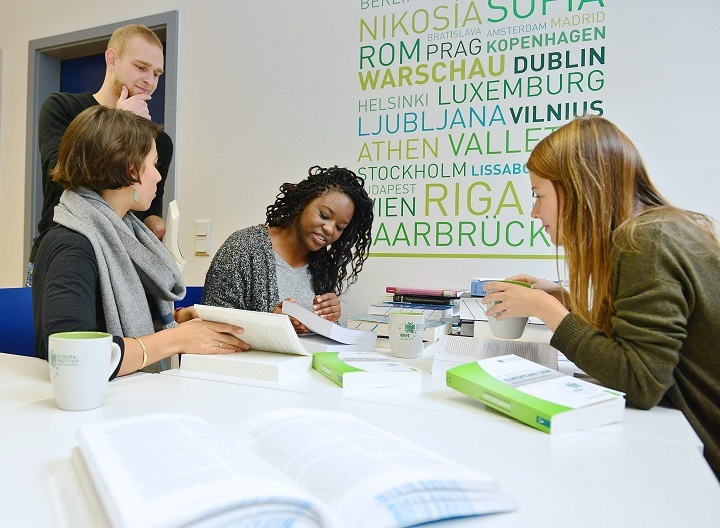 The Master's program "European and International Law" begins in the winter semester. The deadline for applications is always 15 July, directly preceding the winter semester that candidates wish to commence in. Late applications may be accepted until 30 September. The tuition fees are 5,600 Euro per academic year (2,800 Euro per semester). An additional administrative fee is payable to Saarland University. This entitles students to an ID-Card, which authorizes the free use of public transportation within the Saarland and accident insurance. In addition, it confirms student status and can, therefore, be used to obtain student discounts. The Europa-Institut is supported by the German Federal Foreign Office, the German Federal Ministry of Education and Research, the European Commission and the German Academic Exchange Service (DAAD). It stands for high educational standards, close contact and regular exchange with institutions in the European Union, the Council of Europe as well as with the German Federal Foreign Office. 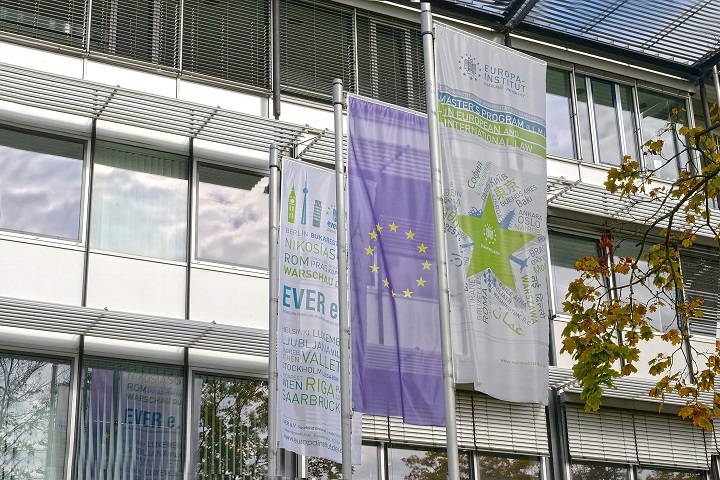 The Europa-Institut was thoroughly examined and certified by the ACQUIN agency within the context of the system accreditation of Saarland University. The program accreditation states that the Europa-Institut offers both excellent research opportunities and excellent quality of teaching. 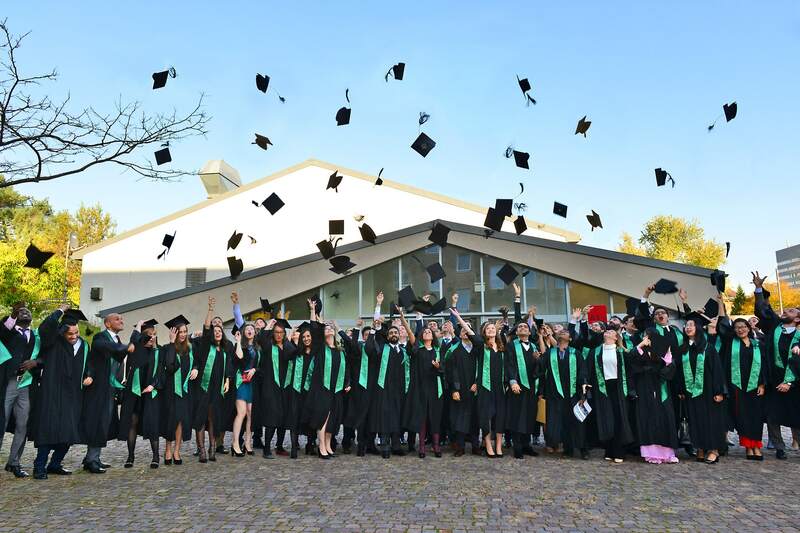 The Europa-Institut also received the so-called “Certificate for Quality of Internationalisation (CeQuInt)” for the successful implementation of an internationalization strategy in its Master's program. Saarland University is a modern university within the Saar-Lor-Lux region - a dynamic part of Europe defined by the shared borders between Germany, France, and Luxembourg. An international perspective has been a defining feature of Saarland University ever since it was established in cooperation with France in 1948. 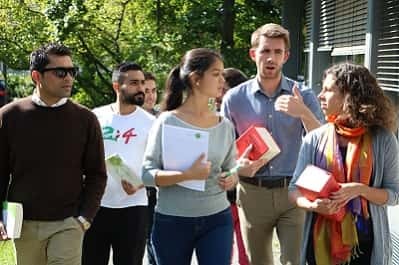 Today, 18.500 young people study in Saarbrücken and Homburg (faculty of medicine), 17 percent of whom are international students. Located in a pleasant woodland setting, the university campus offers students and researchers a broad range of sporting and cultural activities, which together with the numerous cafés and restaurants make the campus an ideal place to relax between lectures or after work. And thanks to the high-speed ICE train link it takes only two hours to travel from Saarbrücken to Paris.